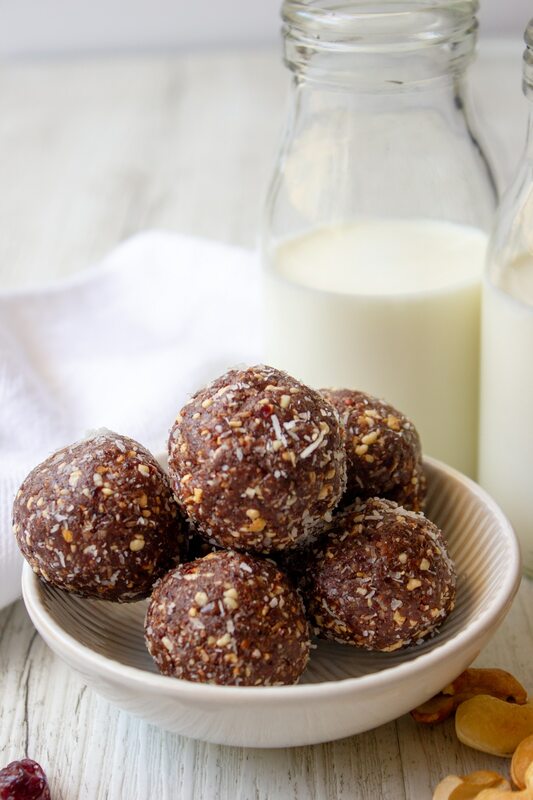 But while the supermarket energy balls are delicious, it is just so easy to make your own. 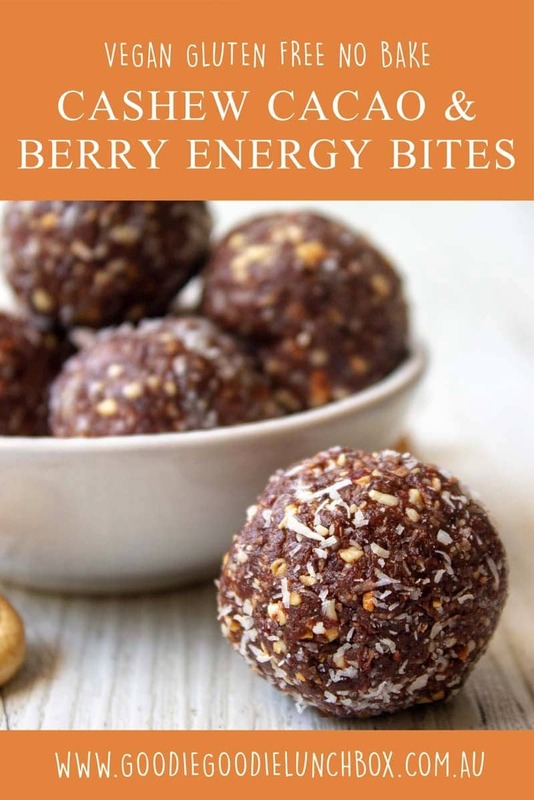 And I am just loving these no bake Cashew Cacao and Berry Energy Bites. They are so simple and come together super quickly (and deliciously). Even better though, they are an absolute hit with everyone in the family. And that is nothing short of a miracle. As much as Mr 7 loves these delicious Cashew Cacao and Berry Energy Bites they won’t be appearing in his lunchbox. This is because our school is nut free, but these make a great snack option for home. I try and offer nut options at home regularly because nuts are high in natural fats and protein which help keep tummies fuller for longer. 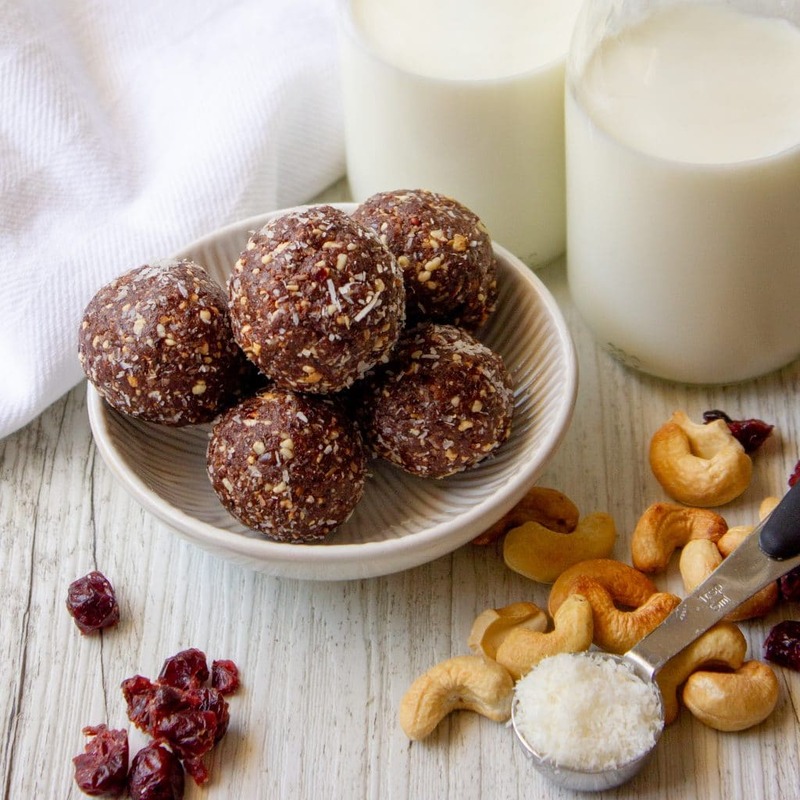 We often have plain roasted nuts or peanut butter sandwiches, so I am loving these Cashew Cacao and Berry Energy Bites as another nut filled snack option to give to my kids. 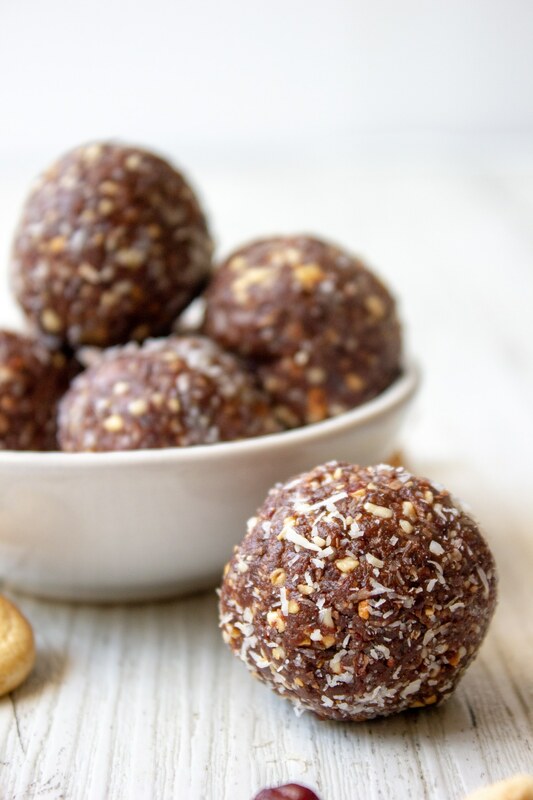 These bliss balls are also suitable for vegans or those with a dairy free diet and they are also gluten free too. 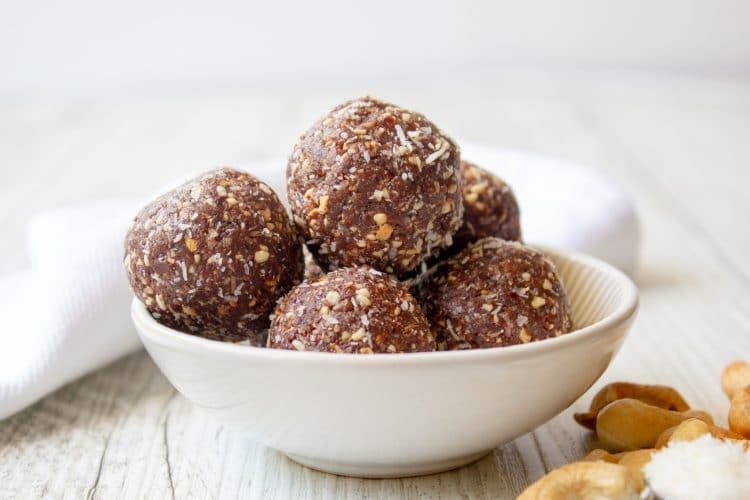 These Cashew Cacao and Berry Energy Bites are packed with cashews and are really chocolatey. This is a super simple recipe with only 5 ingredients and it all comes together in no time. I like to roast my own natural (unsalted) cashews for this recipe. It is so quick to roast nuts and it’s normally much cheaper than buying pre-roasted cashews. I dry roast (no oil) the cashews for 4-5 minutes at 200c and allow to cool slightly before making this recipe. Do you love chocolate? You will adore these Delicious Chocolate Brownies with a Healthy Twist or these Double Chocolate Chip Muffins with Zucchini. 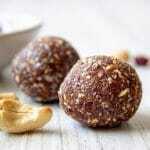 I hope you enjoy this delicious recipe for No Bake Cashew Cacao and Berry Energy Bites. If you make these be sure to take a pic and tag me on Instagram or Facebook so I can see your goodies! Any ideas for something to roll these in apart from coconut? Nobody here is a fan! Loving your recipes but I don’t have a food processor and you have so many recipes I want to try that need one. Any suggestions on what to look for in a good food processor?